Recognized among the leaders in multifamily property management in the United States, WinnResidential offers decades of proven expertise in third party work across the entire range of property types – affordable, military or conventional high rise, mid- rise, home rentals or garden style property with commercial, retail or mixed use buildings located in a minor or major metropolitan market. WinnCompanies owns or manages properties valued at approximately $5 billion nationwide. With decades of problem solving across more than half the country and several hundred markets throughout the Northeast, Mid-Atlantic, Southeast, Midwest, Southwest, West Coast and Pacific, WinnResidential is the knowledgeable choice for clients seeking property management consulting. We formulate strategic, results-driven operating plans to improve your property’s financial performance by leveraging our wealth of operating and marketing resources, support services and technology infrastructure. We manage each asset with the long-term in mind, treating each property as if we owned it directly. Understanding that each client is different, we offer an adaptable asset management approach. We bring national procurement buying power, and we prepare quarterly projections and financials that include capital asset preservation recommendations and return on investment calculations. For affordable housing clients, we minimize financial risk by conducting monthly, quarterly, semi-annual and annual audits to ensure compliance requirements are achieved and maintained. Preserving both the physical asset from a financial and compliance perspective is what sets WinnResidential apart. From development to operations, WinnCompanies embraces environmentally responsible decisions. Through our WinnGreen initiative, we are proud to be a national leader in green development and the utilization of renewable energy. Our innovative approaches to sustainability are recognized throughout the multifamily industry and our award-winning green projects demonstrate our commitment to excellence — and to the planet. Following certification best practices such as the U.S. Green Building Council’s LEED for Homes and Enterprise Green communities, as well as Energy Star ratings, all of our acquisitions rehabs and new developments embrace sustainability principles and integrate the best solutions. We have a 46-year track record in development, ground-up construction, renovation and disaster recovery. We take pride in revitalizing historic, landmark and ordinary buildings into extraordinary living experiences. Our priority is to maintain the integrity of the building while introducing modern touches. WinnResidential has an impressive portfolio of successful lease-ups in the new construction luxury housing sector, and has partnered with institutional and local clients for more than three decades in major metropolitan markets. Our reputation for creating viable and integrated luxury communities comes from our expertise in working with clients and developers through all phases, including design and space planning, budget and pro-forma creation, to marketing lease-up through construction and delivery. Our diversified portfolio includes urban high rises, waterfront luxury, historic rehabs, urban in-fills, mixed-use, transit-based and garden style communities. 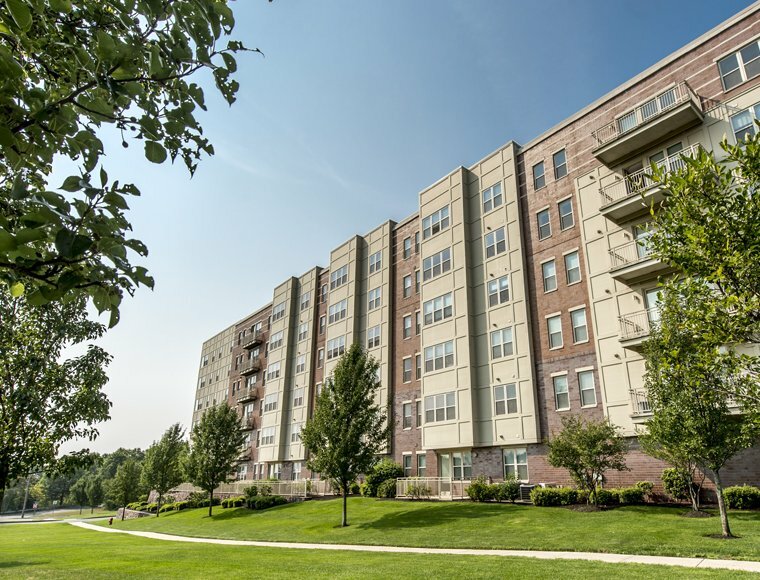 Our public and private sector joint venture experience includes housing authorities, the U.S. Armed Services, non-profit community organizations and some of the country's largest and most successful multifamily owners and financiers. These entities include Lendlease, Boston Financial, Centerline, Redstone Equity Partners, GE Capital, Bank of America, Citi, TD Bank, SunTrust, PNC Bank, Citizens Bank, Columbus Bank and Trust, Eastern Bank, Enterprise Bank and Rockport Mortgage Corporation. Contact us to learn more about our residential property management services. Putting our ResidentsFirst: This key component of our company philosophy is at the heart of everything we do.